Jim McMillan was a top-line rider throughout the nineteen seventies and is still very active in the sport today. 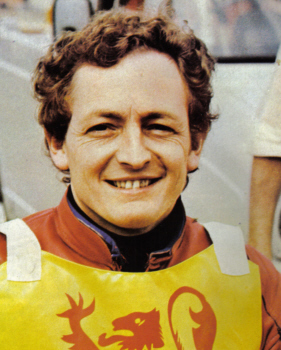 Wayne Roberts interviewed Jimmy for BBC Radio Oxford's Planet Speedway programme and Jimmy looked back on his racing career and gave an insight into his new reponsibilites. "My two uncles (Doug and Willie Templeton) raced, I used to be always sitting on my uncle Douglas' bike in his workshop and one December day he came in and said "Do you want to have a go? We'll take you up to Cowdenbeath and give you a shot". So I went with his leathers and bike, his leathers were about 14 sizes too big. We went up there and that was the first time I was ever on a bike. I started off at Glasgow and we moved from White City to Hampden then we went to Coatbridge. I moved onto Hull then for a couple of years, then I went to Wolverhampton for a few years and then to Belle Vue. I then moved back up to Glasgow in the second division for a year then moved to Berwick where I finished. I wanted to finish while I was still going fairly good, so I finished at the end of the year (1986). I got a lot of enjoyment out of speedway in those days and I think the riders probably got more enjoyment than they do now, they're all so busy now racing in Sweden and Poland. It was all a little bit more laid back in our day. I now do machine examining at Wolverhampton and am also the associate of the S.C.B, so I'm in overall charge of the machine examiners. I'm also in the CCP, the track racing commission, and the International Technical Committee which makes all the rules. It's quite good to be involved at that sort of level. I can be sent anywhere in the world and this year I've had two absolute opposites. In January I was in Finland for an ice racing meeting and last month I was in Italy for the World Under 21 Championships. I still enjoy the racing and going about I see so many people I've known over all the years I raced. It's really good to keep in touch with people. I've got a commission from the FIM until 2009 so I'll hopefully be involved until then. I've got to go to the conference in October that's being held in Brazil." 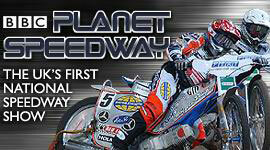 You can listen to Planet Speedway each Wednesday evening at 7pm on BBC Radio Oxford or via the internet. The show is also available through the 'Listen Again' feature on the Radio Oxford website if that time is inconvenient to you. "It would be great to have a more in-depth article. I would try and repeat the interview and use someone with a bit more knowledge of what Jimmy Mac achieved or someone who had actually watched him ride for many years that would improve the content greatly. His sweeping from the back passess around the 3rd and 4th bends at Hampden, his performances at Kings Lynn, Poole, Belle Vue, Halifax and Cradley to name but a few tracks when riding for Glasgow. I believe part of the reason he did not achieve higher world honours was the British final always being held at Coventry. It was no passing track and Jimmy was no gater. From a viewing perspective this was great to watch but not at Coventry against the worlds best." "One of my memories of Jimmy is together with his two uncles, four other riders, one team mechanic & one team manager arriving at Swindon on a Saturday night having driven all through the night in just two Jaguars with four bikes on each trailer. Could you imagine that from today's riders? "